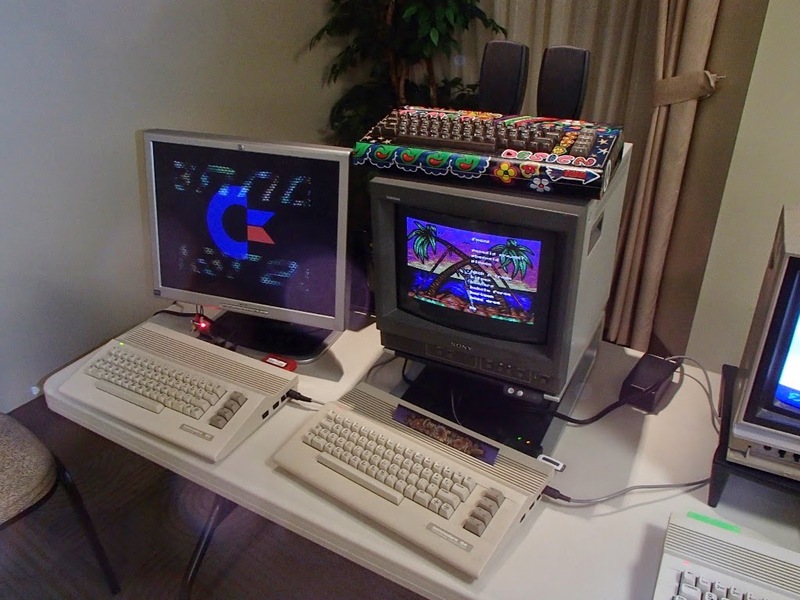 The people from the Toronto Pet User's Group did it again: Exactly two decades after the demise of the company of which the user group owes its raison d'etre, they've kept the flames of a computer industry legend alive with another annual World of Commodore. 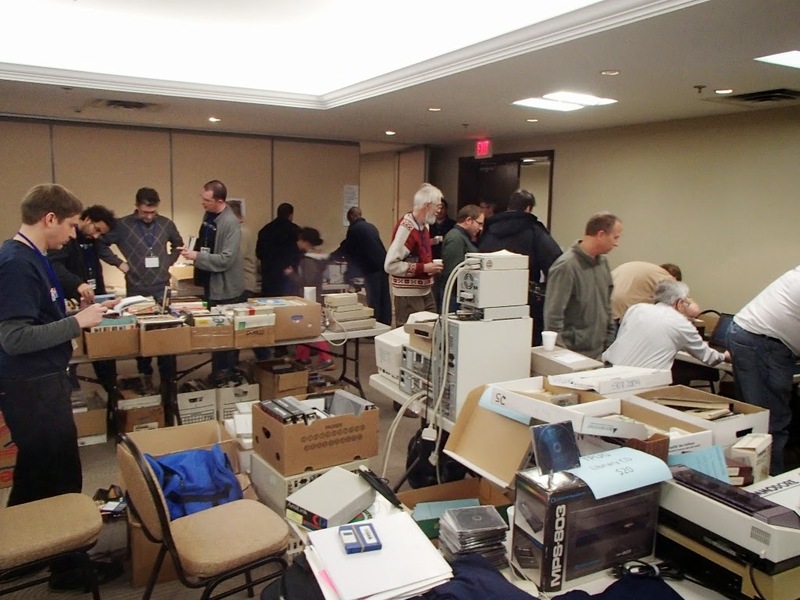 This year's World of Commodore took place once again at the Admiral Inn, conveniently located off the Queen Elizabeth Way in Mississauga, Ontario, Canada. Inconveniently for me, I had three other obligations on what turned out to be one of the busiest December the 6th's of my life, and there was to be no Commodore festivities to follow on the 7th. Fortunately, I managed to re-align my schedule so that I could spend a little bit of time re-acquainting with old friends and pay my annual membership dues. The turnout was very good, with plenty of people attending. Jim Brain was unfortunately not in attendance again this year, but the itinerary was nicely filled with Glenn Holmer demonstrating Abacus Super Pascal, Rob Alders demonstrating the Kerberos MIDI cartridge for the Commodore 64, Chiron Bramberger demonstrating his musical experiments with Arduino and Commodore, Leif Bloomquist demonstrating his motion sensing game glove for the Commodore 64, and a behind the scenes "Meet me at Starbucks" commercial featuring TPUG. 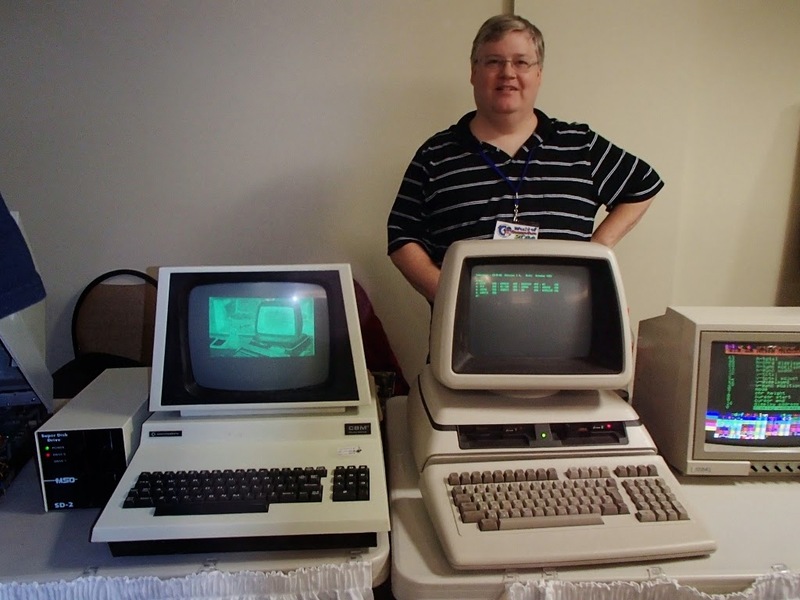 As usual, people out on the floor had on-going demonstrations of the really neat things they're doing with their Commodore equipment, like bitmapped graphics on the Commodore PET, or connecting an old 8 bit Commodore to the Internet. There were also rare machines, like the colour PET. There was the freebie table with lots of goodies; I scored some Compute! 's Gazette magazines I was missing from my collection. There was also the raffle table. 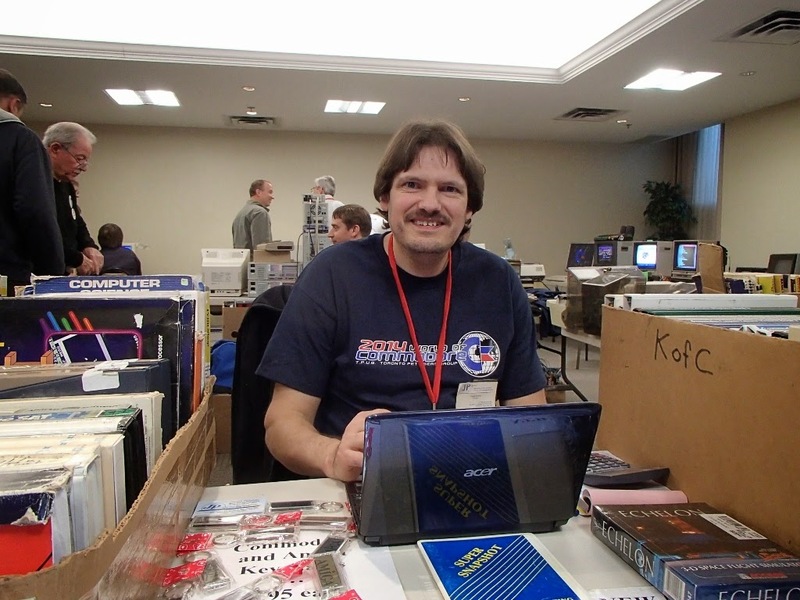 Add in Steve Gray's collection, some interesting machines from others in attendance, as well as perusing Joseph Palumbo's wares, and the price of admission ($5 for members, $10 for non-members) became an excellent value for my dollar. In all, it was a great time with great people. My only regret was that I was unable to spend the entire day there and take in the demonstrations; but then again, there's always TPUG 2015 to look forward to. Hope to see you there next year!